Joanna Malinowska graduated from the Mieczysław Karłowicz State Music School Complex in Cracow. In general primary music school she specialised in violin, under the direction of Professor Renata Sperka and piano, under the direction of Professor Barbara Pęcherska. She then continued her studies in the violin class of Professor Swietłana Białostocka in secondary music school, from which she graduated with honours. She is currently studying in the Maastricht Conservatory in the class of Professor Robert Szreder. She has also honed her skills under the tutelage of such eminent virtuosos as W. Wiłkomirska, D. Stabrawa, K. Śmietana, S. Krawczenko, Y. Kless, M. Frischenschlager and A. Kostecki. Joanna performs as soloist, taking part in recital cycles organised by the Music Society in Cracow. Her repertoire encompasses works in various styles and periods, with a particular focus on works by Polish composers. 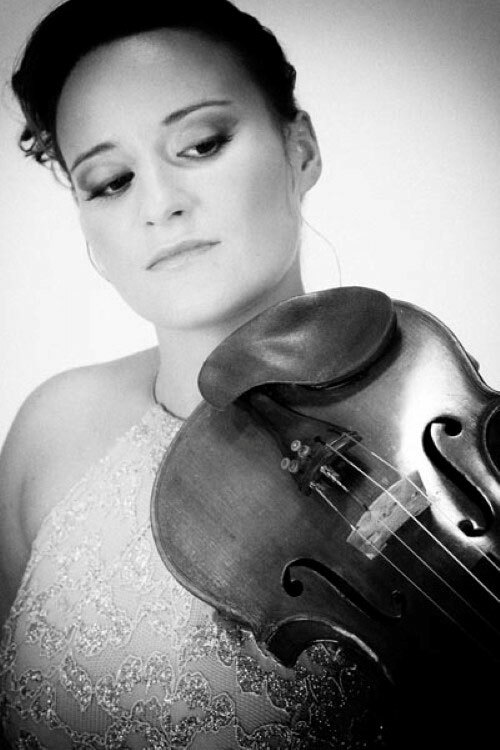 She is also very active as an orchestra musician, playing in many projects in Europe and in the United States, including the Central European Initiative Youth Orchestra, Idyllwild Arts Academy Festival Orchestra in Los Angeles, Guido’s Orchestra and the Drie Conservatoria Symphony Orchestra. She had the opportunity to play in the first performance of a unique work by Limburg artists under the Kliknend Changement project. For many years Joanna Malinowska was the concert master of the Cracow Young Philharmonic. She has also successfully performed many times with this orchestra as a soloist. Her musical interests extend beyond the classical repertoire. Joanna took part in music projects with artists such as Lionel Richie, Candy Dulfer and Petula Clark. Joanna takes part in many competitions. Her latest achievement is the victory at the 22nd “Gianluca Campochiaro” International Competition in Catania, Italy. She won two Primo Assoluto awards in the solo and chamber music categories and the Gianluca Campochiaro Grand Prix. Members of the orchestra – students of the secondary music school – are involved in an experimental program of working in the orchestra, intended to prepare them for work in professional orchestras immediately after the completion of secondary music school. In 1982-1998 the orchestra was led by Rafał Jacek Delekta. In 1989 the position of second conductor was filled by Ewa Mizerska-Golonek. 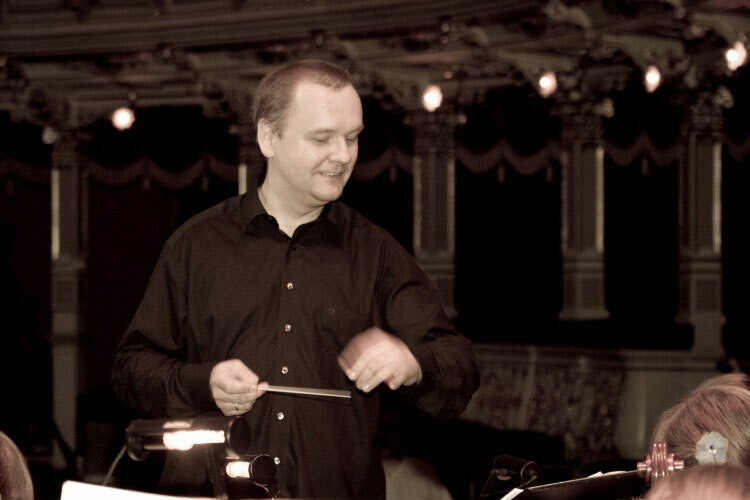 Since 2000, the orchestra has been working under the direction of Tomasz Chmiel. The ensemble’s repertoire is extremely varied, encompassing works from verious periods, from the baroque to contemporary music, as well as opera, operetta, musicals and film music. 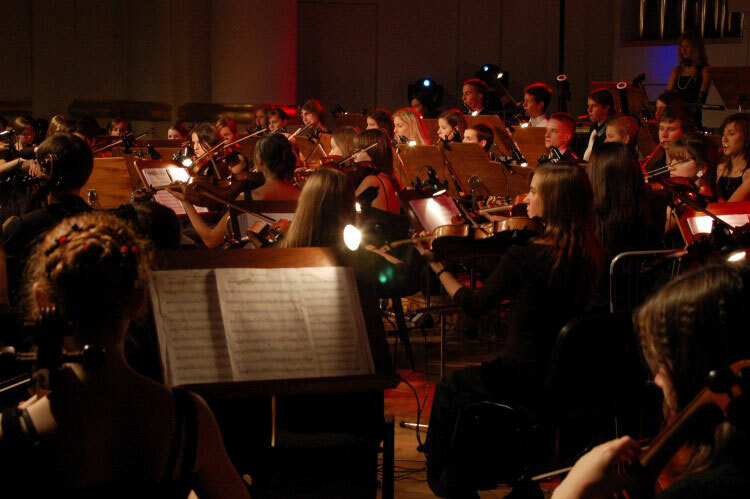 The Cracow Young Philharmonic appears frequently and regularly in Cracow, as well as in other cities in Poland (including the Grand Theatre and the Roma Music Theatre in Warsaw, the Lecture Hall of Adam Mickiewicz University in Poznań and the Upper Silesian Centre of Culture in Katowice) and in Europe. The orchestra plays more than 20 concerts each season. It has played with many eminent soloists, including Konstanty Andrzej Kulka, Grażyna Brodzińska, Jacek Wójcicki, Zbigniew Wodecki, Elżbieta Towarnicka, Lidia Jazgar, Jacek Muzyk, Katarzyna Oleś-Blacha, Tomasz Kuk, Halina Mlynkova and Jacek Zieliński. It collaborates with a number of youth orchestras in Switzerland and Germany and with choirs in the Netherlands. The ensemble took part in the first performance of “Ludźmierskie Vespers” by Jan Kanty Pawluśkiewicz and Leszek Aleksander Moczulski, playing the work several times, also at the concert in September 2003, celebrating the 10th anniversary of the work’s première. Conductor, pianist, arranger, producer. Born in Rzeszów. Graduated from the Academy of Music in Cracow in the conducting class of Professor Jerzy Katlewicz and in the piano class of docent Marek Koziak, completing both with honours. Tomasz Chmiel has twice received scholarships from the Ministry of Culture and Art and was awarded a Creative Scholarship by the city of Cracow. He is the 1st place winner at the 1st Witold Lutosławski Young Conductors’ Review in Białystok. He has participated numerous times in Helmuth Rilling’s Seminars at the Bachakademie in Stuttgart and in master courses in Salzburg and in South Ireland. Chmiel continues to be involved with his alma mater, working as assistant lecturer and working on his habilitation thesis. He is a guest conductor at the Cracow Philharmonic, at the Rzeszów, Częstochowa, Lower Silesian and Szczecin Philharmonic and in the National Radio Symphony Orchestra, Katowice. He works together with the Cracow Opera. A long-time collaborator with the Music Theatre in Lublin and the Cracow Chamber Opera. He also conducts the Young Cracow Philharmonic. Abroad, Chmiel has led performances in Sweden, France, Germany, the Netherlands, Belgium and in South Korea. He devotes particular attention to Polish music. He prepared orchestra parts from the manuscript and then performed Artur Malawski’s forgotten 1st Symphony. He has also transcribed for symphony orchestra song cycles by Chopin and Karłowicz, as well as Polish popular songs from before World War II, patriotic hymns and Christmas carols. He also prepared a performance score of T. Leschetizky’s Piano Concerto. Most of these works have been recorded and released on CD. For chamber orchestras Chmiel has also prepared the operas “Don Pasquale” and “L’elisir d’amore” by Donizetti, L. Adam’s “Torreador”, J. Stefani’s “Cracovians and Mountaineers”, F. Schubert’s “The Conspirators” (Die Verschworenen) and Lehar’s operetta “The Merry Widow”. He is also an ardent arranger of music for film.